You’ve had your iPad for over a month now. 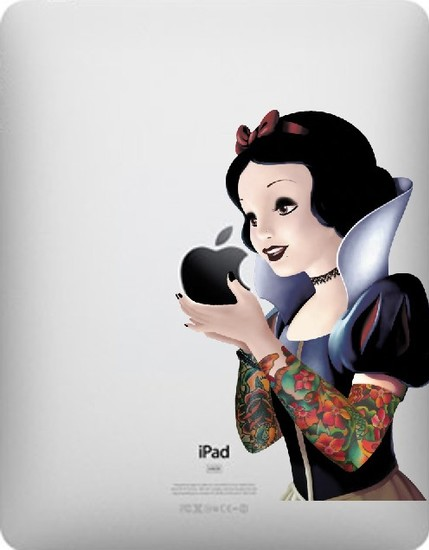 It’s time to customize it and made it stand out from the crowd with these cool iPad decals and skins. Joker, Iron Man and Snow White decals from BlackGlass on Etsy. Want to channel your inner Renaissance woman but feel a bit clumsy carrying around the 44″ inch sword prop from the last Ren-Fest you attended…then check out these unique sword-handled handbags. This ‘Custer’ bag from Sydney based designer Marjan Petrovski, is made from Italian leather, while the handle is actually an American Civil War sword handle. It’s like carrying around a bit of history. Empire33 also carries handbags with Japanese katana sword handles. You shaved your goatee into two fine lines that peak at your chin. You’ve pressed your last clean button down shirt as smooth as a baby’s bottom. Before you walk out that down and head to your local bar, you check for your wallet, keys, and condoms. Hey, you never know. Your foot is about to cross the threshold out your front door, when you realize you almost forgot your…speech bubble? A 23 year old product design student named Elaine McLuskey came up with the idea for these speech bubbles after studying hearing impairments. Bars and clubs are noisy. If you want to hear your date above all that racket, just put on your speech bubble helmet and all background noise is quieted. 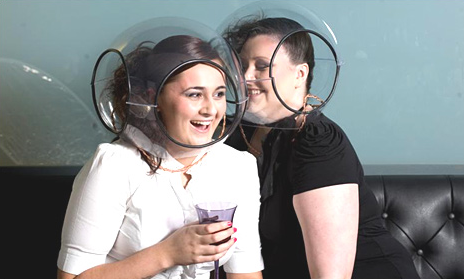 Forget the fact you look like an space invader, or better yet, decided to wear your fish bowl as a Lady Gaga inspired fashion accessory. You can at least hear your date she tells you she wants to whisper sweet nothings back at your place. This interesting product is currently on show Edinburgh Napier University’s School of Arts and Creative Industries Degree Show through May 23, 2010. No, it wasn’t a scene from Ghostbuster III, it was an Improv Group called Improv Everywhere that took over the Bryant Park Library and did a re-enactment of the movie “Ghost Busters,” and the library knew about it. The performance was part of the library’s campaign to fight against a proposed $37 million budget cut. 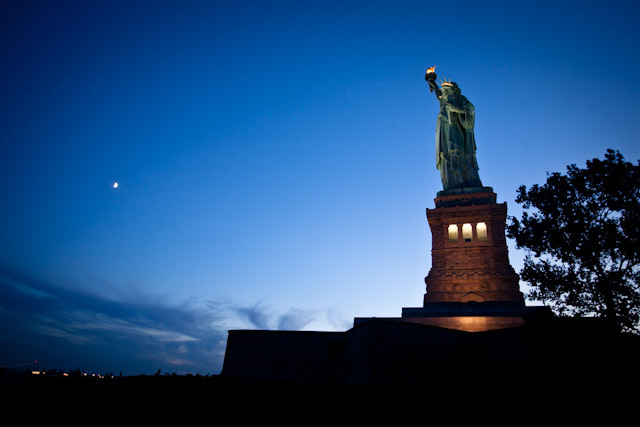 The National Park Service announced that starting in June they’ll allow evening visits to tour the grounds and dine on Liberty Island, at least through mid-August, however the statue itself will not be open to visitors. The decision was spurred by a successful two-day experiment last September. 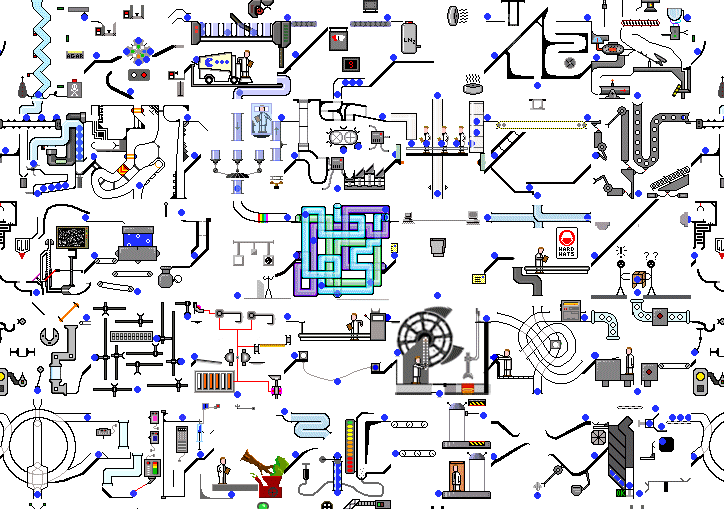 This blows all other animated GIF’s out of the water. Below is screenshot teaser. Click this link to see the monolithic GIF in action. Ericailane is a a visual artist based in Bologna. 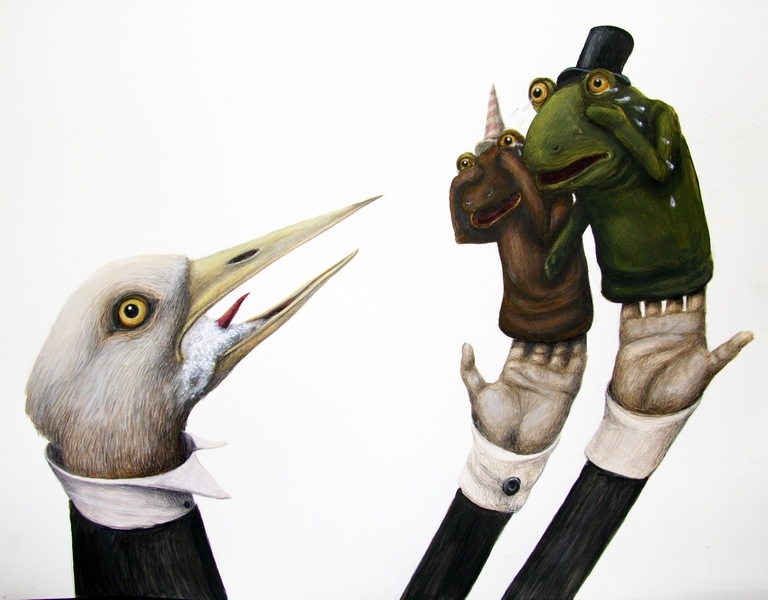 His work is something reminiscent of animals you might see in children’s books, but a bit more sinister in nature. He draws distinctly anthromorphic creatures you expect to speak at any moment. He creates a variety of works by painting, drawing, sculpting, making installations and has also produced some expansive murals in Italy and Poland. Los Angeles born David Choe works in many mediums,and is known as much for his exaggerated vulgarity as for his aesthetic sense. His works grace the magazines of Vice, Hustler, and Juztapoz Magazine, and had his first solo art exhibit at The Jonathan Levine Gallery in New York City. 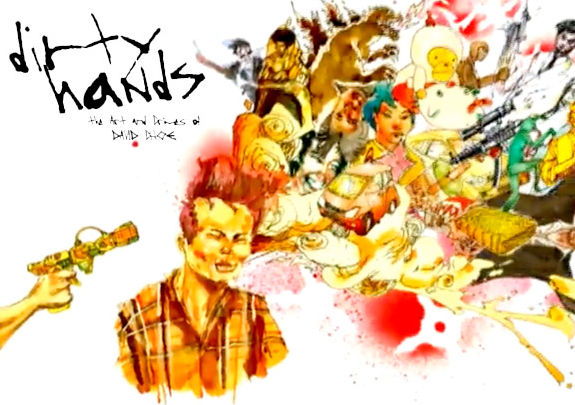 The documentary film about Choe, Dirty Hands: The Art & Crimes of David Choe was released in May 2010 and is currently playing at the Roxie in San Francisco till May 27.